Our years of experience and dedicated staff will work around the clock to make sure your low voltage infrastructure is completed on time and on budget for your organization’s launch day. Whether your needs are video conferencing, boardrooms, communication infrastructure, digital signage, video walls or any other technology deployment needed we are here to help. Creators of the games many of us grew up on such as Street Fighter and Mega Man, its no surprise that we were excited to provide the low voltage build out for their new Flagship Vancouver HQ. Multi-national financial firm CNA's new Vancouver office occupies a whole floor in the Telus tower looking over the Vancouver skyline. We provided the infrastructure for their low voltage requirements deploying Crestron systems throughout the space, controlling interactive meeting rooms to fully automated teleconference boardroom systems to digital signage locations. 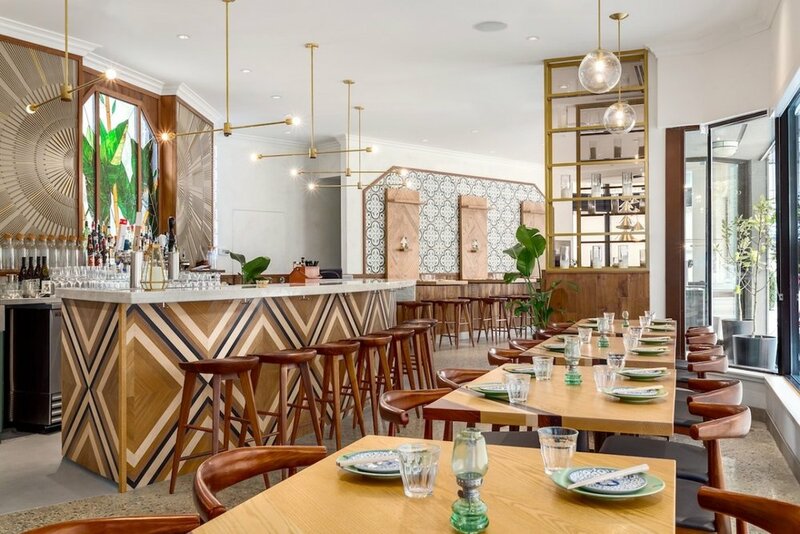 Restaurants are not something we do very much as they contain a lot less tech infrastructure then we are accustomed to but boy are we glad we got an opportunity to work on this project as this turned out to be an incredible space. Kudos to brother and sister duo for re-invigorating this Vancouver staple. I don't think there is anyone in North America who has not handled one of their parking meters. When we took this build out for their new Burnaby HQ we were fully aware of the challenges this large space had and the short timelines. In the end we were proud to deploy such a large infrastructure and system, meeting and exceeding the client's expectations. Fresh and clean are two words that describe Handy Appliance's new Vancouver showroom. Audiospace provided the low voltage infrastructure for networking, telephony, security alarm/CCTV, Access Control, Video Wall Displays, Interactive touch TV screens, Distributed Audio etc.. Visit them if you ever need appliances in the Vancouver area, you won't be disappointed with the space or service. One of the largest nut butter manufacturing plants in the lower mainland requires a low voltage backbone to match in scale. This build from the start was a labour of logistics and co-ordination implementing fluid systems that met both the city's rules and the client's wants. Deploying a project of this scale from manufacturing spaces, shipping/warehouse to offices all in one complex offered us the ability to merge different technologies and practices into one cohesive system for the client. If you've ever played Call of Duty then you are familiar with Activision's subsidiary Demonware who provides software support for their games. When we got the "Call" to provide the low voltage infrastructure for their Vancouver HQ refurb we were GAME!